Panoramic View of Taipei City from Elephant Mountain. - MisTan IzZy | Travel & Lifestyle. 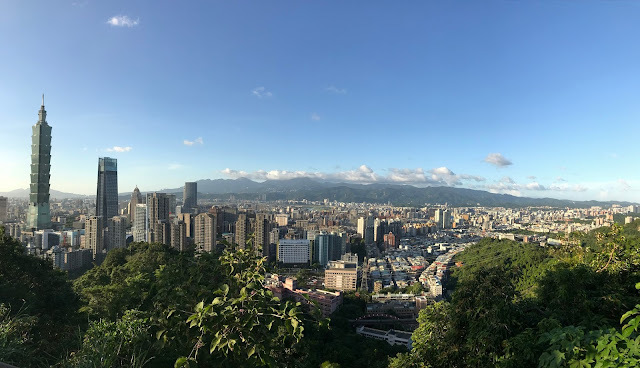 Panoramic View of Taipei City from Elephant Mountain. Xiangshan (Chinese: 象山), also known as Elephant Mountain, is a mountain in Xinyi District, Taipei, Taiwan. This trail has been real popular recently which makes it a tourist's hot attraction now. 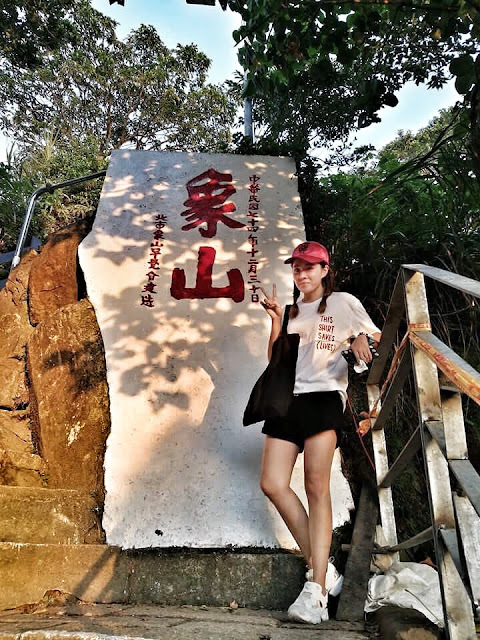 My original plan was to go to Yang Ming Shan but then I was alone this time so I choose an easy trail instead. I get to know about Elephant Mountain as I look up on google and found it quite interesting, a trail which I never heard about it few years back. Elephant Mountain trail is obvious and well-maintained with mostly consisting of stone steps, you do not need any physical training before you go, just keep moving up to reach The Six Giant Rocks. The hike takes a total of around 15-20 minutes to the top. 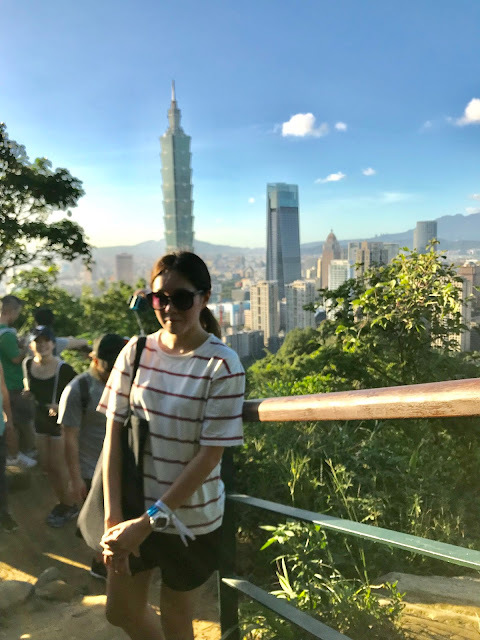 The best time to hike the mountain is during late afternoon, by doing so you can catch the sunset as well as a daytime view, however due to its popularity, the peak can get relatively crowded especially during the weekend. 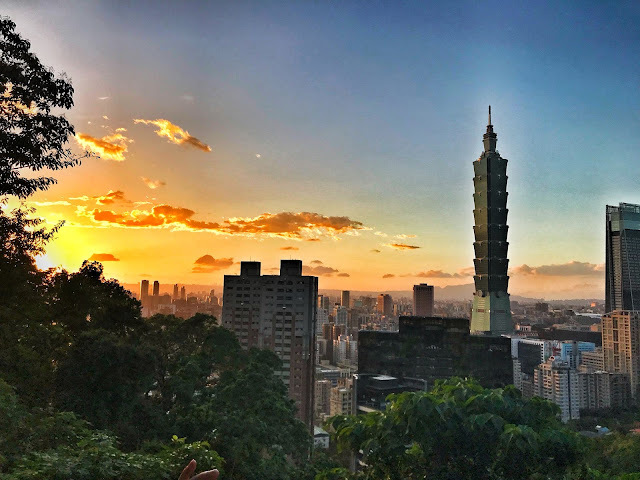 You may choose to walk over from Taipei 101 or take a MRT ride to Xiangshan Station. 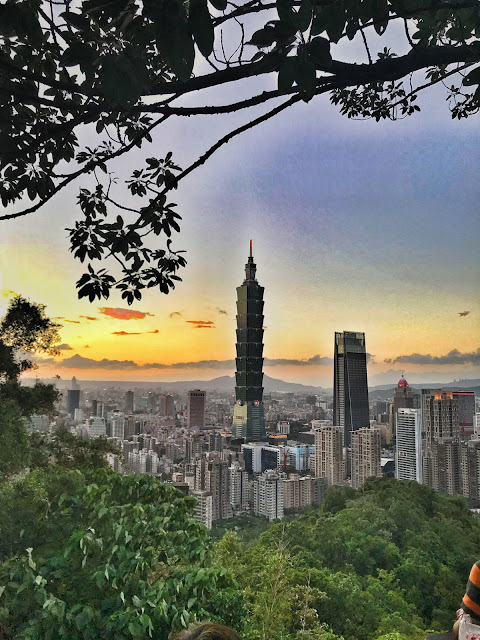 From the base of Taipei 101, walk east on Xinyi Road for two blocks until you reach MRT Xiangshan Station, only a 15 minute walk from 101 and completely worth it. After arriving at Xiangshan station (象山), take Exit 2 and continue walking alongside the edge of the park. 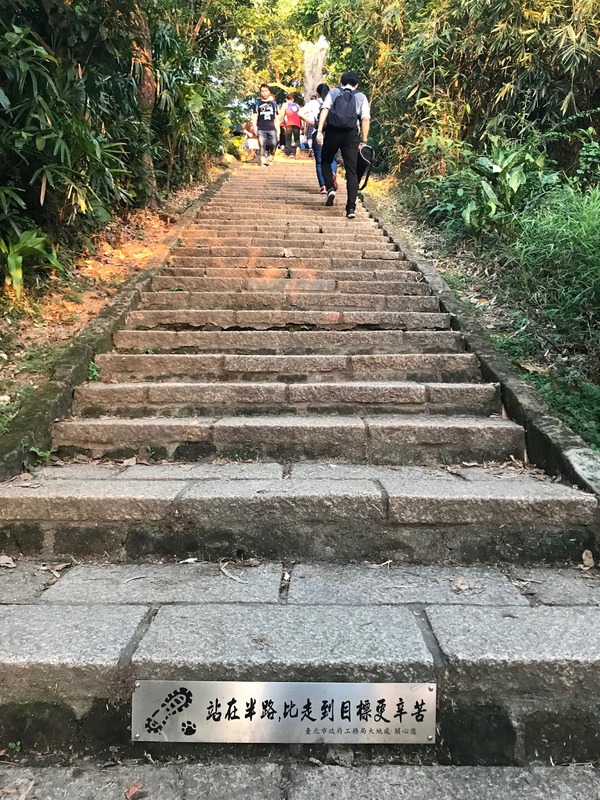 At the end of this road, take a left and follow until the entrance for Xiangshan Hiking Trail, total 650 metres, around 20 mins. 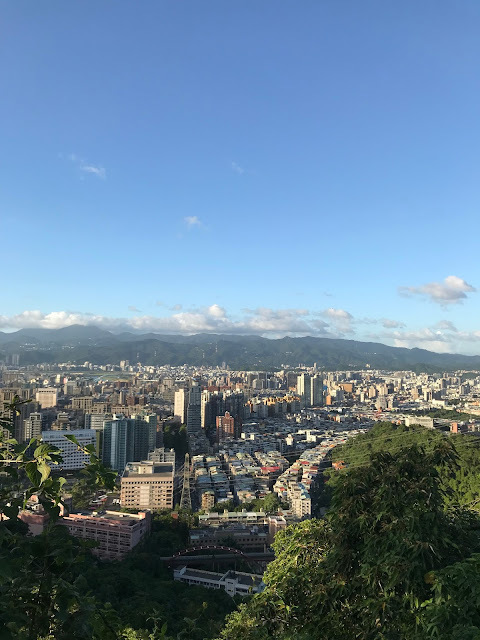 Xiangshan is actually one of a group of four neighbouring mountains named after animals, the others being Baoshan (豹山, Leopard Mountain), Shishan (獅山 , Lion Mountain), and Hushan (虎山, Tiger Mountain). Collectively they’re known as the Four Beasts (四獸山, Si Shou Shan) and are connected by a hiking trail, so you have the option of extending your Xiangshan hike and doing all four. However I did not have enough time and companion to do so as to extend the hike from Xiangshan is comparatively more dangerous to hike alone.